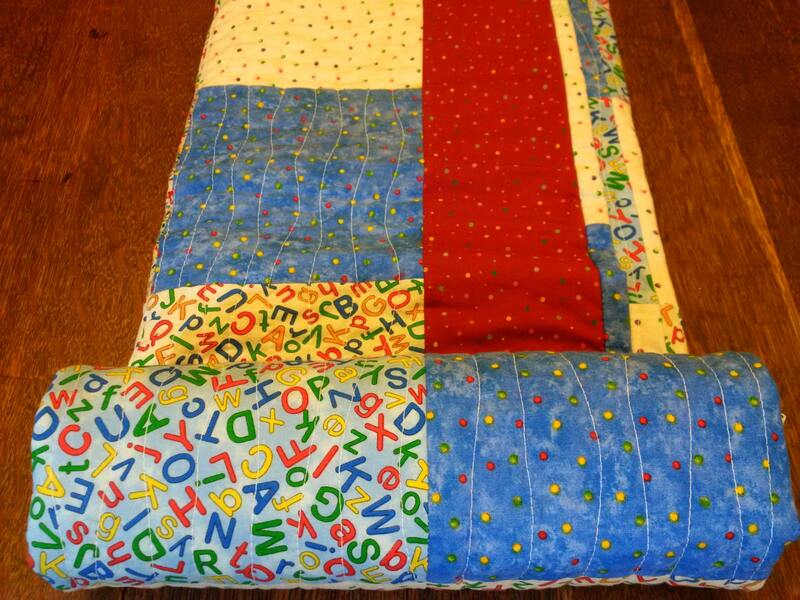 This quilted play mat is perfect for your little one to have a special place for playtime on the floor or out in the yard. 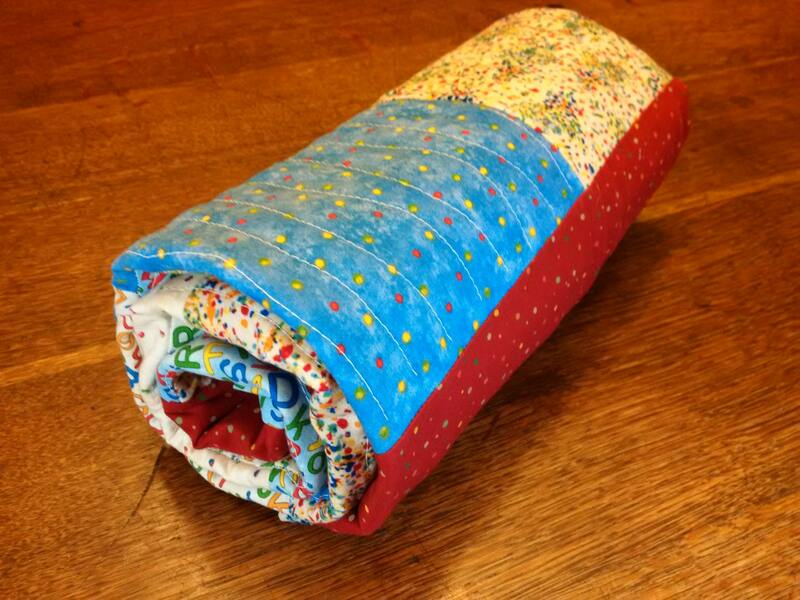 The quilt is a nice travel size to cover a stroller or car seat, can be draped over mom's shoulder for nursing, packs easy in a diaper bag for outings, or for trips to Grandma's house. The colors are a mix of bright primary colors in the blocks and sashing, and a neutral off-white and dotted light green backing. 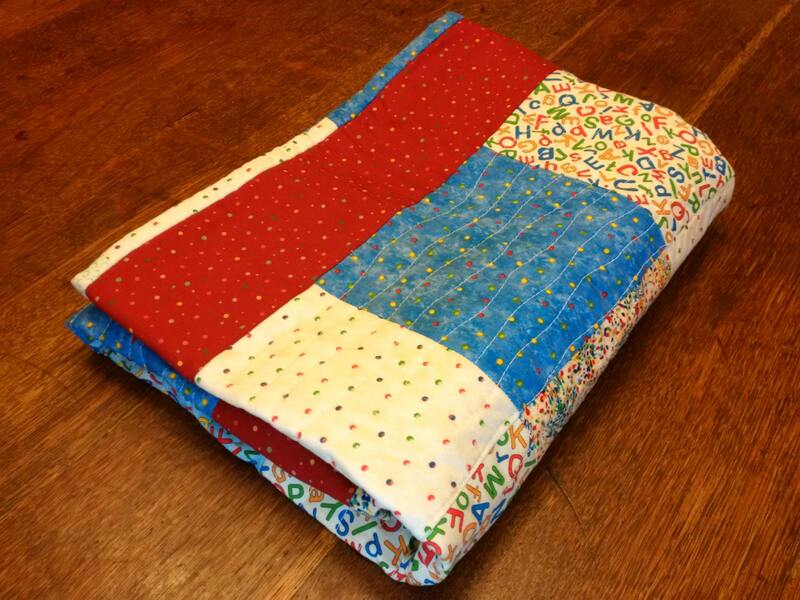 This quilt is an original design, simple block pattern. 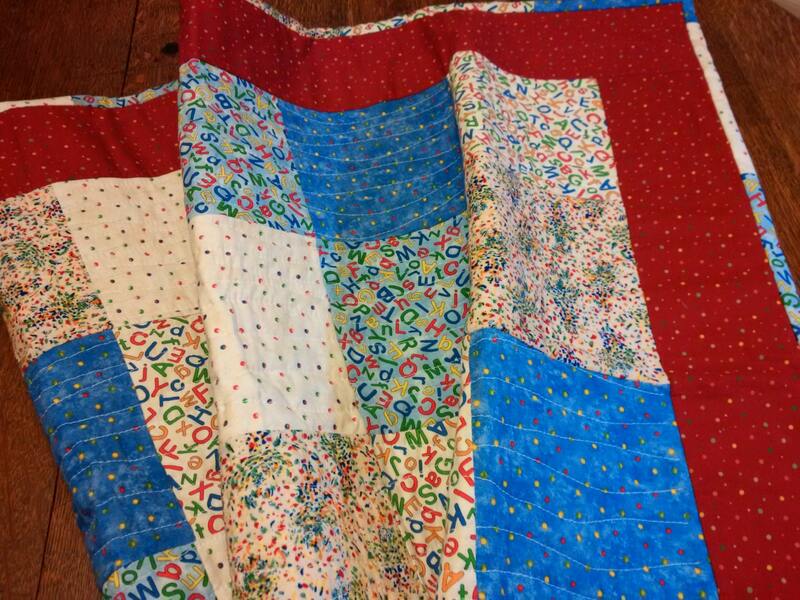 It is machine pieced and quilted, and the binding has been sewn by hand. The quilting pattern is a subtle wave. 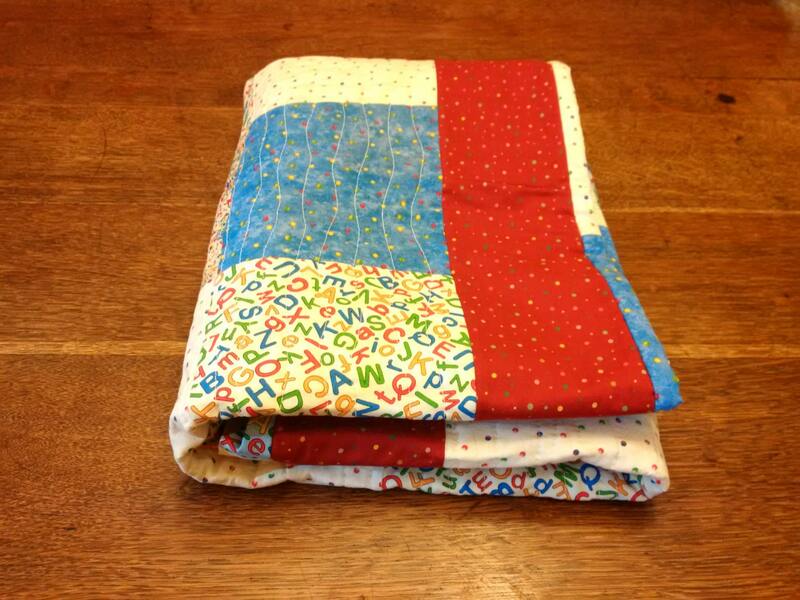 The quilt is made of 100% cotton fabric, thread, and batting and is machine washable.